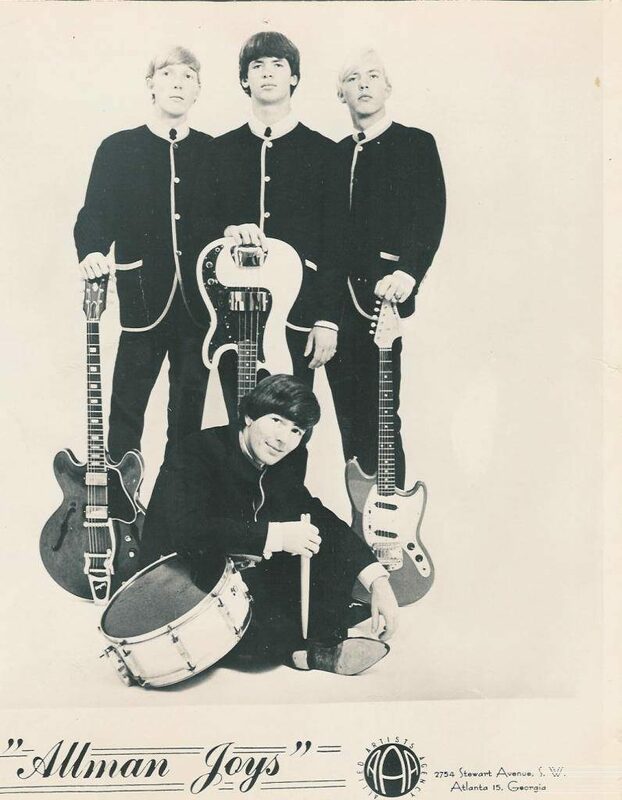 Based on photos available, Duane played this guitar in one of his earliest bands called The Escorts, which on one occasion opened for The Beach Boys in 1965. He continued using the guitar with the Allman Joys until 1966, before switching to a 1954 Fender Telecaster that he used with Hour Glass until 1967. The Telecaster might’ve been swapped directly for this ES-335, but this is only guesswork. Duane Allman (far left) with his ES-335 during the Allman Joys era. Duane’s ES-335 featured cherry red finish, block inlays, and a Bigsby tremolo- and it doesn’t seem to have been modified in any way.